Learn the story of the revolutionary businessman and philanthropist, C.R. Wood. 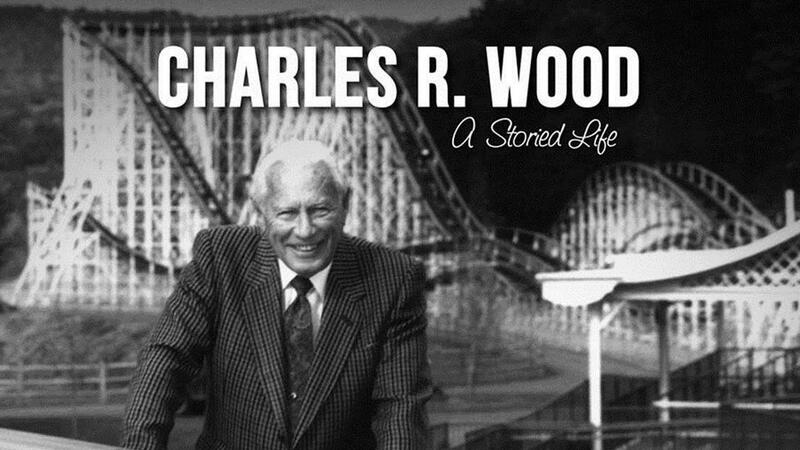 Charles Wood was a revolutionary businessman and philanthropist who not only changed how families in upstate New York enjoyed their time together, but many say that he inspired theme parks around the world as we know them today. He created StoryTown a year before DisneyLand opened; he later created GasLight Village, Waxlife USA and a host of motels and restaurants that brought visitors by the thousands to the Lake George area. And perhaps more importantly, established an approach to philanthropy that was revolutionary at the time including the creation of the Double H Hole in the Woods Camp for children with life-threatening illnesses. To paraphrase his obituary printed in the New York Times, Charles R. Wood dreamed up an amusement park based on Mother Goose rhymes and then invested his life savings and hammered nails himself to create it. He died at the age of 90 at home in Glens Falls, having lived 10 years after doctors ordered him to stop riding his own roller coasters. Clad in loud sport coats and likely as not behind the wheel of Greta Garbo's 1933 custom Duesenberg, which he owned for many years, Mr. Wood presaged Walt Disney in developing new ways for people to have fun. According to Beth Robertson, vice president of the International Association of Amusement Parks and Attractions, he was one of the first to develop the "idea of theming a park based on an idea and a character" when he opened Storytown U.S.A. in 1954 in Queensbury, N.Y., a year before Disneyland. "Charley Wood is considered the grandfather of the American theme park," Ms. Robertson said in an interview. But Storytown is only part of Charley Wood’s legacy that included a life of entrepreneurial efforts, philanthropy and entertainment. His legacy continues to live through the organizations and many people he impacted, but his story has never been told in a documentary. Until now. WMHT is partnering with Working Pictures to tell this remarkable story and is encouraging members of the community to be a part of the experience by sharing their personal snapshots, home movies and perhaps even souvenirs from StoryTown and Gaslight Village.